Fluoride in the water supply was supposed to be the end of dental cavities. But for menopausal women, it compounds symptoms of weight gain, brain fog, low energy, depression, and more. Research shows drinking water with added fluoride greatly increases your risk of developing an underactive thyroid or hypothyroidism. Hypothyroidism, or low thyroid function, causes fatigue, weight gain, constipation, aches, dry skin, thinning hair, and intolerance to cold. It can also cause slowed heart rate, depression, and impaired memory. English researchers linked fluoride in drinking water with a 30% higher rate of diagnosed hypothyroidism. The levels in the study were 0.3 mg per liter of water. That’s really bad news for Americans. In the U.S. the recommended level of fluoride in the water is 0.7 mg/L, or more than twice the level found to be a problem in England. Why is fluoride in your water? Today municipalities in the United States add fluoride to the water supplies of 67% of Americans or nearly 211 million people. Fluoride became the darling of dentists and public health authorities just before World War II thanks to a single study which purported to show that areas with high levels had lower rates of cavities. That study has since been discredited. Even worse, there have been no double-blind studies proving that this toxin in the water supply reduces cavities. The World Health Organization (WHO) found no difference in tooth decay between countries that fluoridate their water and those that do not. In fact, the science shows that fluoride increases cavities. The largest study of 400,000 students revealed that each 1 part-per million (ppm) added to drinking water increased tooth decay by 27%. The National Institute of Dental Research conducted another review of 39,000 U.S. school aged children and found that each 1 ppm in the water supply increased tooth decay by 5.4%. Besides making cavities worse, fluoride permanently stains teeth. In 25% of children it causes dental fluorosis – brown or yellow teeth mottled with white spots. Dental fluorosis can be an indication that the rest of your body, such as the brain and internal organs, has been overexposed to this toxin as well. The dirty little truth about fluoride is that it’s a toxic industrial waste. It’s a byproduct of uranium enrichment, aluminum smelting, and phosphate fertilizers. In addition to hypothyroidism, studies prove other serious health dangers of this toxin including heart disease, brain damage and low IQ in children, cancer, brittle bones, and ADHD. It has never been proven to be safe. In fact, the US Agency for Toxic Substances and Disease Registry lists fluorides among the top 20 substances posing the most significant threat to human health. Yet it is still in the U.S. water supply. Other countries - including 97% of European populations - have stopped adding it to their water. How to reduce your exposure to toxic fluoride. 1. Stop Buying Fluoride Toothpaste. Each tube of regular toothpaste contains enough of this toxin to kill a small child. Since 1997, the FDA has required all fluoride toothpastes to carry the following label: "WARNING: Keep out of reach of children under 6 years of age. If you accidentally swallow more than used for brushing, seek professional help or contact a poison control center immediately." Check with your local water department to find out if your water is fluoridated. 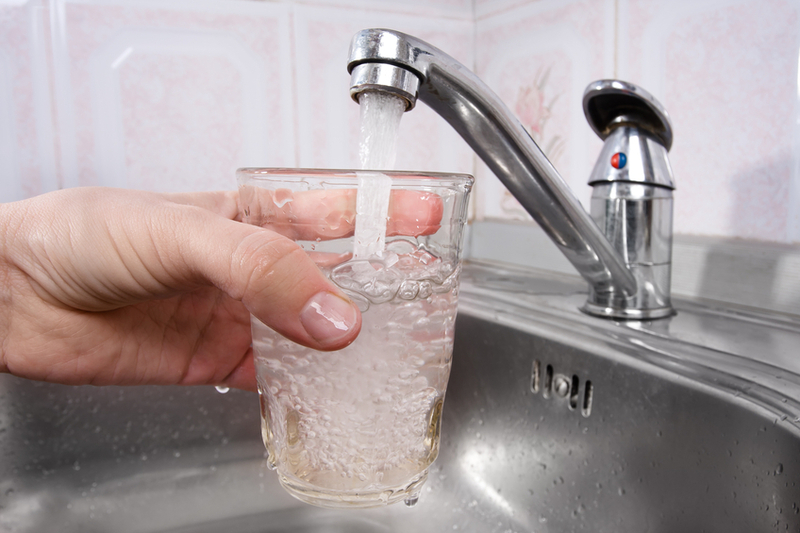 More and more communities are rejecting fluoridation. Bathing and cooking with fluoridated water can also expose you to risks. Taking a 10 minute hot shower is like drinking a gallon of water even if you never swallow a drop. If your water company fluoridates yoursupply, a high quality water filtration system is the best way to minimize your exposure. Most home filtration systems are ineffective. The best types are reverse osmosis, de-ionizers, and activated alumina. They can cover your entire house and remove about 90% of the toxin. 3. Check Your Bottled Water. About 40% of bottled water comes right from the tap. That means it could be fluoridated. Some brands even advertise added fluoride. You can verify the level in your bottled water. Just call the supplier’s number printed on the label. The company should have the information readily available. Levels in bottled water should ideally be zero or less than 0.1 part-per-million. It should definitely not be more than 0.2 ppm. Produce grown with fluoride-based pesticides can have extremely high levels of this toxin. Conventional iceberg lettuce tests at an astounding 180 times the recommended levels. Other foods that have high levels include citrus fruits, potatoes, grapes and raisins. Buy only organic versions of these foods to minimize your exposure. Yiamouyannis, J "Water fluoridation and tooth decay: Results from the 1986-1987 national survey of U.S. school children" Fluoride 23:55-67 (1990).